The Historical Museum of the City of Lecce, set in the ancient monastery of Santa Chiara, preserves testimonies of various eras of the history of the city, from the Messapic and Roman times to the sixteenth and twentieth centuries. 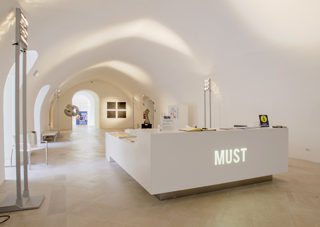 It also hosts a contemporary art gallery and temporary exhibitions. The Lecce Baroque cathedral was built in the 17th century in place of the previous cathedral, dating back to 1144. The interior is full of pictorial works. Also admired the crypt of the twelfth century, restored in the Baroque period. Defensive castle wanted by Emperor Carlo V of Habsburg in 1539. It has a quadrangular shape and is equipped with four characteristic bastions. Today it houses the Museum of Cartapesta, exhibitions and shows. It is the highest manifestation of the Lecce baroque with the adjacent former Celestine convent, a spectacular fusion of Renaissance and 17th century elements. Begun in the mid-sixteenth century, it was completed a century later by the greatest Salento architects. Great theater of the Augustan era in the historic center of the city, built partly on the rock and partly on arcades. Only one-third of the whole structure is visible: the rest is still hidden in the underground. Today it is used for summer theater performances.